There were a few important reports on the U.S. economy released this morning. 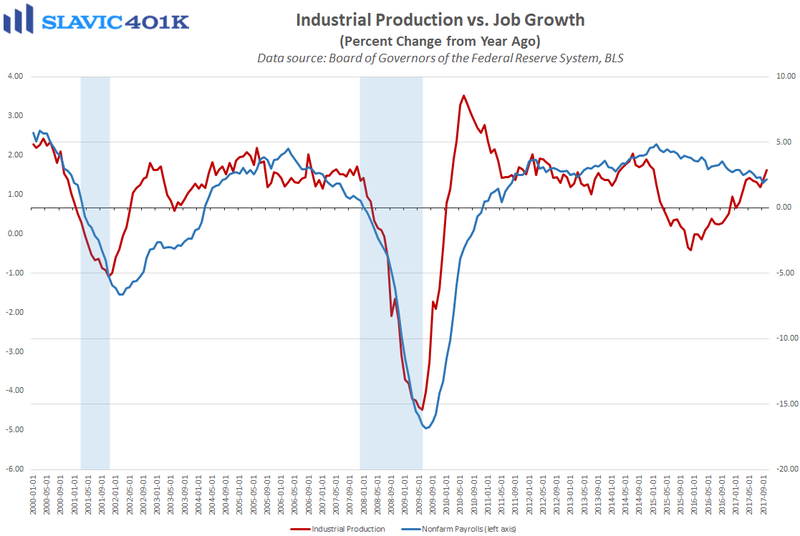 First, data from the Federal Reserve Board of Governors showed that total industrial production in America jumped last month by 0.9 percent, much better than anticipated. The strong print was helped by the continued rebound from hurricanes Harvey and Irma, along with an uptick in utilities (colder weather causing more Americans to turn on their heating). 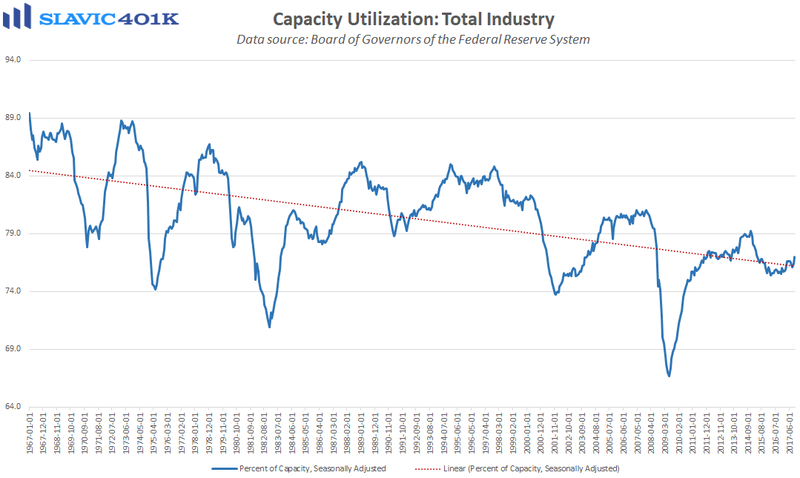 As for manufacturing, which makes up roughly 75 percent of all industrial production, this component surged by 1.3 percent last month, significantly better than forecast, and capacity utilization, sometimes used as a leading indicator of inflation and potential output, lifted to 77.0 percent, the highest reading since 2015. 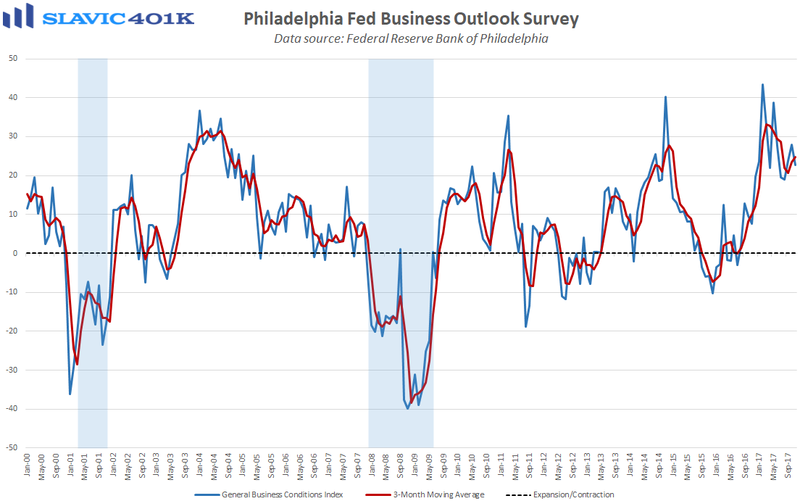 Elsewhere, manufacturing activity in the Mid-Atlantic region of the country slowed this month, according to a new report from the Federal Reserve Bank of Philadelphia (FRBP). 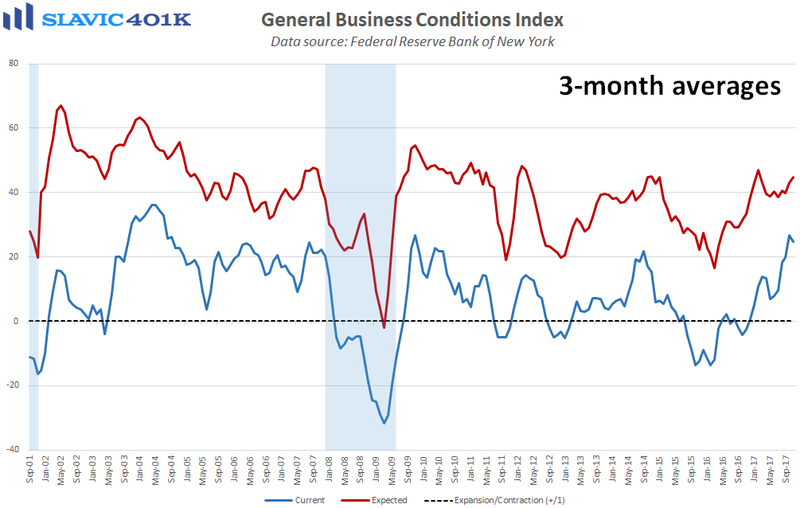 Specifically, the general business conditions index fell from +27.9 to +22.7 in November, the largest decline since July and worse than expected. Under the hood, current measures of new orders firmed this month but gauges of shipments, total employment, and hours worked deteriorated. Forward-looking indicators (six months ahead), generally improved. Surveyed managers in this month’s survey were also asked a few special questions about their year-ahead inflation expectations, and on average respondents believe that the compensation their firm will pay per employee (for wages and benefits) will rise by 3.0 percent. 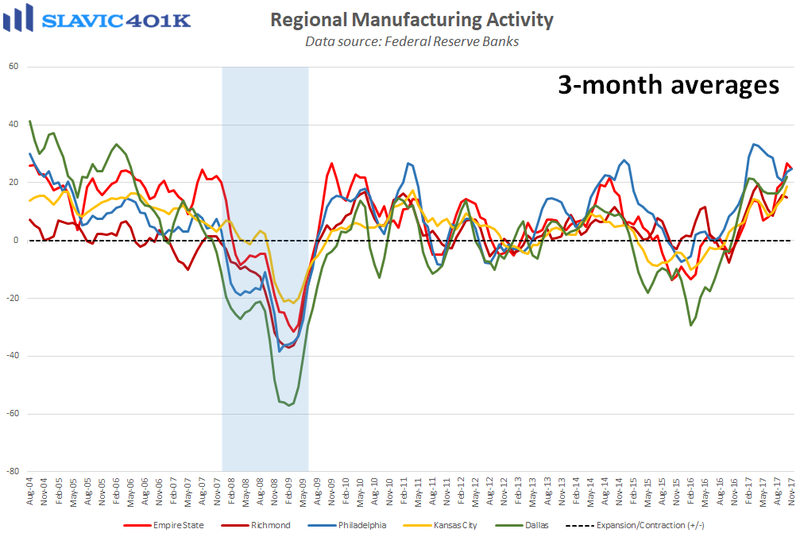 Similarly, data from the Federal Reserve Bank of New York (FRBNY) showed that manufacturing activity in the northeast region of the country slowed considerably this month, as the business conditions index fell from 30.2 to 19.4. That was significantly worse than expected, the largest decline since April, and the weakest headline reading in four months. Most of the weakness was due to softer shipments and employment growth but the positive headline print still implies that overall business activity continued to expand at a healthy clip in November. Further, forward-looking (six months ahead) activity gauges generally improved in November, including an uptick in reported plans to make capital expenditures. That increase in business investment will be supportive of U.S. gross domestic product (GDP) growth over the next two quarters.